The Kite Lynx HD 8x30 is the best one can expect from all-round binoculars combining optical performance and comfort at the highest level. No more disadvantages, only advantages. The Lynx HD 8x30 is compact, light and pleasant to hold. The extra-comfort eyecups, large focus wheel and soft rubber armour contribute even more to the ease of use and comfort of these binoculars. 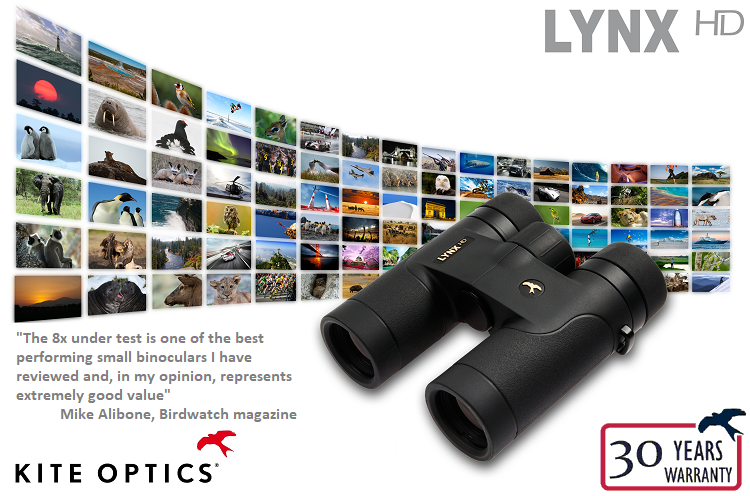 The Lynx HD 8x30 binoculars are entirely amazing to look through with their very wide field of view at 151 metres and exceptional close focus down to 1.3 metres. I bought these to replace a pair of Swarovski CL Pocket Bins that my wife has taken a particular liking to. I can find little if any difference in the quality of image between the two and while the Lynx are a little bigger they are still easily pocketable and represent an excellent go anywhere choice. My only very minor grumble is that the case seems somewhat larger than is necessary which makes wearing it using the belt loop a little uncomfortable. I am now thinking seriously of investigating Kite's larger offerings! Don't underestimate, or ignore these. I bought these as I wanted some reasonable quality binoculars I could carry in my pocket, or keep in the car and not worry about their size or weight. They have fulfilled this function perfectly. However, what I did underestimate was just how good they are. 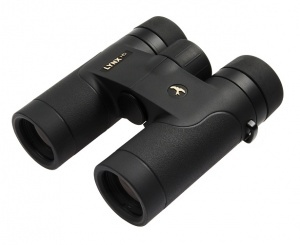 My wife and I also own the current Swarovski SV and Zeiss SF binoculars and I rate the Kite Lynx optics as not being a vast distance away from these "Alphas". They really are that good and I can't rate them highly enough for birding or just general nature observation.